Happy two months to my little muppets! 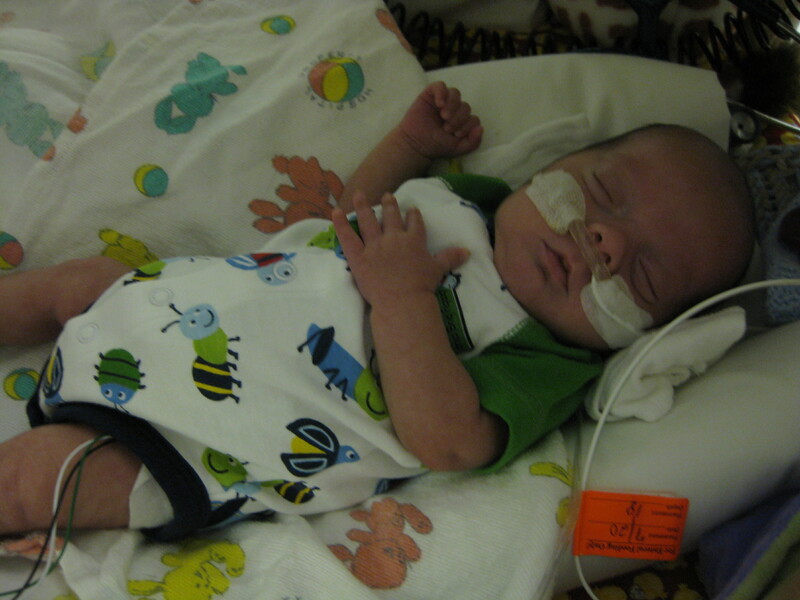 Sixty-one days down in the NICU, but we’re making progress. The last two hurdles to clear are a full five days with no As and Bs (apnea and bradcardias) and steady oxygen saturation and two full days of taking all their feedings via the bottle. We’ve now reached that point where time has slowed down. We’re so close, but not quite there yet – or should I say not quite home yet. And every progressing day brings stronger feelings that they are MY children (with subtle overtones of “back off nurse”). We are eager to take on the life-changing experience of full parenthood. Naturally, Jon and I have grown incredibly close with them and feel that we are getting pretty good at reading their cues. This particular skill has been greatly enhanced by some of our favorite nurses who subscribe to the “they’re your babies – you deal with them” method of care. Yet because their regular nurses spend so much time with them, they’re part of our family right now too. 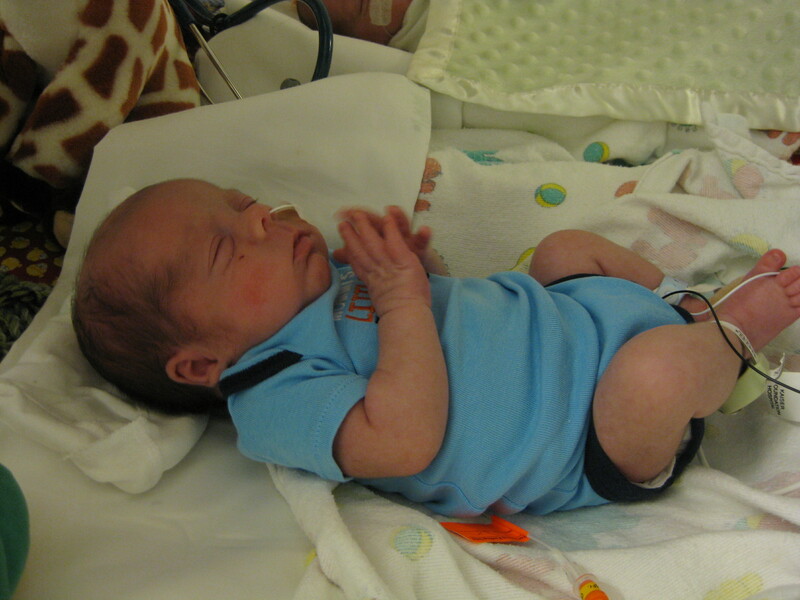 During their NICU stay the boys have amassed an awesome team of nurses who know them and their quirks as well as us. (Dear Search and Destroy’s regular night nurses – I’ve never met you, but I’m assuming you’re just as awesome as our day and evening nurses). “But I really don’t like those numbers!” the unfamiliar nurse retorted. When the boys swing during feedings, our nurses barely give us a second glance. They know the boys and they know us. They’ve made it clear when we’re visiting they rely on us to let them know if something is off. Jon and I have chosen to interpret this as a great sign of confidence. But a nurse who doesn’t know them often thinks of them as “the twins” or “the baby.” Our nurses know them as Search and Destroy. The nurses who don’t know them don’t know that they’ll immediately recover from a swing. A nurse who doesn’t know them doesn’t know if they have competent parents. And a nurse who doesn’t know them charts EVERYTHING. As we get closer to bringing them home, the slightest look of concern by an unfamiliar nurse prods exclamations of “Don’t chart that!” out of fear that it will ultimately delay homecoming. It’s a vicious little circle since the reason our boys are doing so well is due to the conscientious team of nurses and doctors who don’t take any abnormality lackadaisically. Jon and I appreciate everything that the NICU staff have done for the muppets. 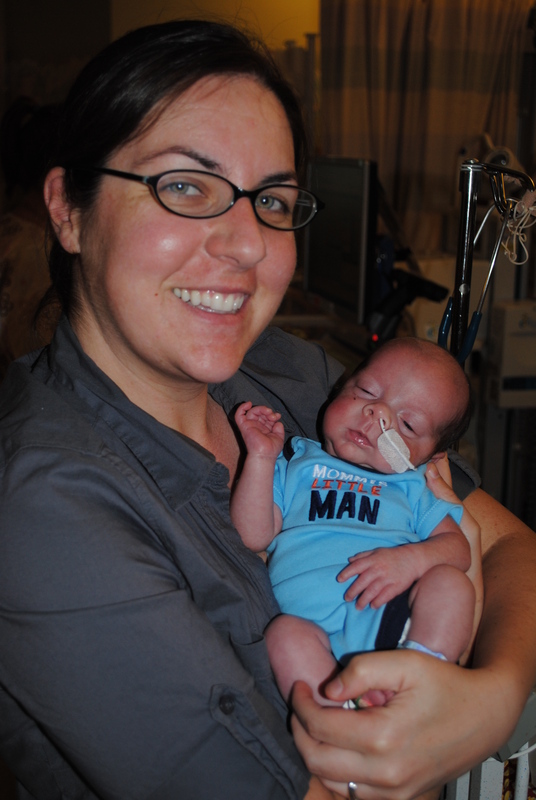 And to Search and Destroy’s regular team of NICU family – we can’t thank you enough. You are amazing, informative and entertaining. And we can’t wait to be rid of you. The muppets are scheduled to have a multitude of vaccines today. (What a way to celebrate two months on Earth…) So we’re happy to have all that additional help taking care of potentially tired, cranky, sore, sick boys. 5 Responses to Don’t Chart That! how’d the little ones do with their vaccinations? i hope well! They have grown so much!! Poor little babies – being prodded with all those vaccinations — Search looks like he’s praying “Please don’t do it!” — Hard to believe they are 2 months old. Cuter every day. G.G. I agree with Becca – you look great! Love that little bug outfit Destroy is wearing. They look so much bigger and filled out!